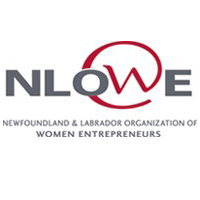 Founded in 1997, Newfoundland & Labrador Organization of Women Entrepreneurs (NLOWE) has been supporting and encouraging female entrepreneurs for over two decades, focusing on women-owned businesses at all levels of development and growth. NLOWE’s mandate is to provide programs and services that connect and support women within Newfoundland and Labrador to start, grow, and advance their business. NLOWE’s services are provided at no cost, with no restrictions on location, as Business Advisors are located in every region of the province and travel where needed. NLOWE is currently seeking an experienced senior professional to lead their team as Chief Executive Officer (CEO). Reporting to the Board of Directors, the CEO provides passionate, executive leadership and management for the organization’s strategic plan, project administration, programs and services and plays a vital role in assuring NLOWE’s success. As a strategic and collaborative leader, the CEO is tasked with building lasting relationships with and amongst women entrepreneurs. Supported by a strong senior management team, the CEO will focus their attention on facilitating opportunities to grow the number of successful women-owned businesses in Newfoundland and Labrador, through strategic partnerships, supplier diversity initiatives and elimination of barriers to women’s success. Strengthening operations, the CEO is responsible for attaining the goals and objectives set by the Board of Directors, within its established mandate, policies, budget and to ensure future sustainability of the organization. As the ideal candidate, you have leadership experience, not-for-profit experience (as staff and/or Director) and also bring demonstrated business success and have a passion for the entrepreneurial sector in Newfoundland and Labrador. Proactive and energetic, you anticipate and understand trends, problems and opportunities and successfully interpret them for the organization’s effectiveness. Your demonstrated dynamism, passion and ability to inspire, as well as your superior stakeholder and relationship building expertise, will contribute to guiding the success of NLOWE’s vision, strategy and objectives. With a growth minded vision, you are experienced in working with Boards and have a high level understanding of government funding, project financing, economic development and sector initiatives within Newfoundland and Labrador. You are able to manage many complex tasks and projects simultaneously and your excellent communication skills and strong understanding of project funding and proposal writing are evident through achieved results. Your prepared and credible demeanor allow you to be confident interacting with media, including radio and television forums, as well as internal and culturally diverse stakeholders.